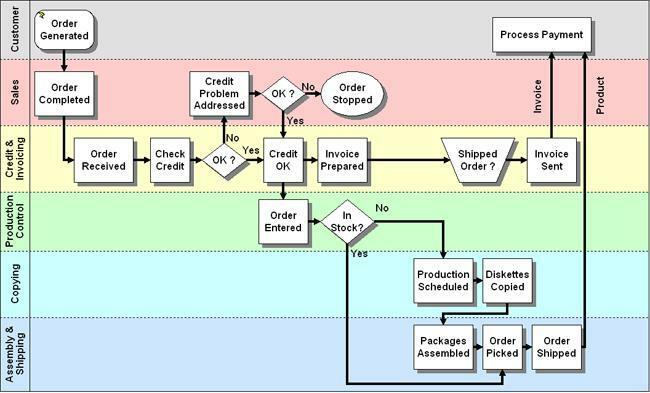 A process map is like a flowchart. It is constructed for the purpose of showing the flow of a process or cycle over time. The detailed sequences of activities, inputs, and outputs for a particular process is the key information needed to construct the map. The way in which this information is obtained is by asking a series of questions aimed at tracking the flow through each function or activity. Question 1: Where does the process begin – what is the very first thing that happens to initiate the process – and who does it? Question 2: What happens next and who does that? On the simplest level, the map may be constructed by repeating question 2 until the entire process is mapped. However, there are some specific situations and items that you should know how to represent on your map. Question 3: Is there a decision to be made after step x ? If so, what is the decision and what are the branches that the process might take after this decision? What are the first steps in each of the branches? Continue with Question 2 for each of the branches. Question 4: Regarding the last step performed by function x, is there another function that is performing that same step simultaneously? Or, is there another different step that is happening simultaneously, and if so, what is it and who does it? 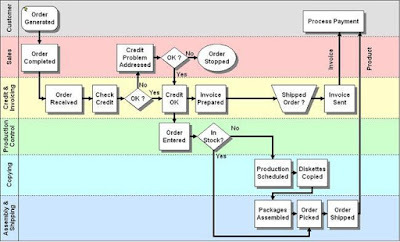 You should also identify the inputs and outputs from each step in the process flow. Inputs are the products or information required for a step to be completed. 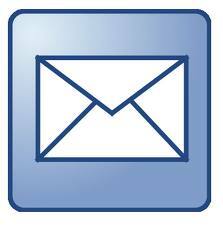 Inputs can include orders, decisions, policies, specifications, subassemblies, raw materials, etc. Outputs are the outcomes from a step that are passed on to the next step. The outputs from one step become the inputs to other steps. Question 5: What are the inputs and outputs associated with step x ? Often there is an issue among team members over what level of detail is appropriate for mapping. Additionally, it is sometimes unclear if a step should be included as part of the process if it doesn’t happen all the time. This is where I use the 20% rule. This rule states that you should map a step if it occurs 20% or more of the time. This is not, however, a hard-and-fast rule, and there are exceptions. Think of this rule as a way to help you determine whether to map a step if there are no obvious indications for or against including it. It is important that you clarify and confirm the map. Review it with those who provided the information and expect changes. Building the map is and iterative process.